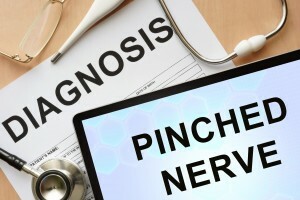 Pinched nerves are usually pinched from a disc that is herniated, bulging, or protruding. 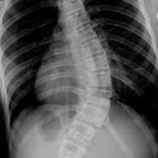 The disc can impinge, or put pressure on a spinal nerve, negatively affecting the normal nerve flow, resulting in radicular pain, or pain radiating away from the source – usually into an extremity. Give your local chiropractors the chance to show you how chiropractic care can be an effective nerve pain treatment. In addition to spinal manipulation for sciatic nerve pain treatment and the treatment of other nerve pain, Dr. Moramarco frequently uses adjunctive therapies, such as ultrasound, electrical muscle stimulation, trigger point therapy, and/or cold/heat therapy to help expedite the healing process. Contact us online to learn how chiropractic can help you get out of pain.